In the spirit of the holidays, an Eastern New Mexico University alumnus sent his alma mater 80 rolls of toilet paper to compensate for what he'd stolen from a dorm during his wild college years, according to a report from CBS News. His package included five packs of 16 two-ply, septic safe rolls. "Jesus Christ has made such a difference in my life and has prompted me to repay for any sins..." read the Christmas card apology letter from the unnamed former student whose newfound religion appears to have led to his repentance for past misdeeds. The school announced that administrators and officials accept the apology, although they still wonder whether or not it was intended as a joke. However, as the toilet paper won't fit into the university's regulation dispensers, the total 80 rolls will be donated to charity. In more news from the always exciting world of toilet paper, a misguided political message resulted in a Pompano Beach, Florida firefighter losing his job, according to the Sun Sentinel. After he placed toilet paper printed with the image of President Barack Obama in the facility's bathroom, the services of 50-year-old Clint Pierce were no longer required by the city's fire department. Apparently, this was not the first time he had pulled such a stunt, and he had been given a stern warning the first time. Meanwhile, students at Wright State University in Ohio are complaining about the quality of the school's toilet paper, according to the campus newspaper, the Guardian. The school buys single-ply toilet paper in massive economy-sized rolls, notes the news source. 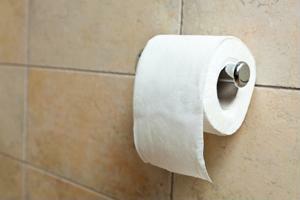 It's an inexpensive and potentially ineffective type of toilet paper, and the students have taken notice. "It might cost them less to upgrade because people wouldn’t have to use as much, but I try to avoid public bathrooms when I can," Anna, a freshman at the school who withheld her last name, told the newspaper. Another student, named Kaleb, mentioned that he didn't feel it was worth it to potentially raise the cost of attending the school to improve conditions at a bathroom he never uses anyway. The Guardian - goes on to explain that two-ply toilet paper would end up costing about $3 more per case, which doesn't seem like much until you consider that hundreds of cases of toilet paper are necessary to supply an entire 557-acre university on a yearly basis.